Buying and selling dolls is the heart of doll collecting. 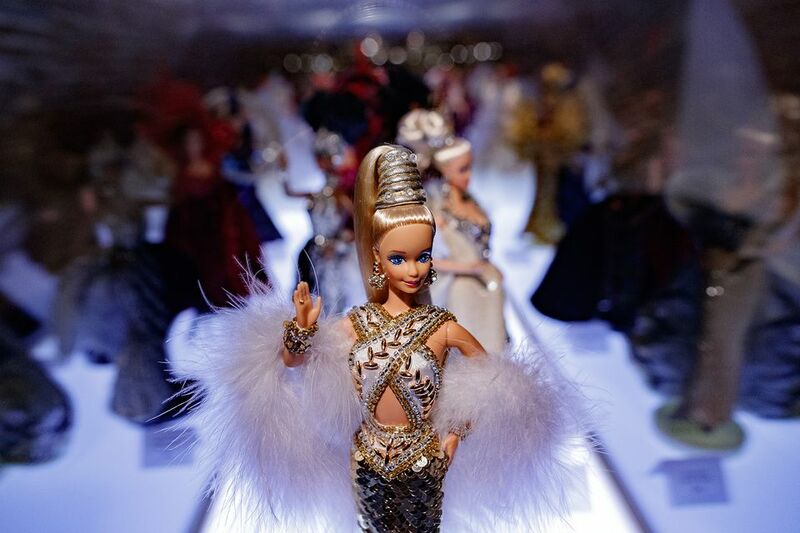 Even if you only have a few dolls in your attic, you need to know if you have trash—common play dolls you can donate—or a real treasure as certain vintage and antique dolls can be worth thousands! Collectors have many reasons for buying dolls. Even if yours is not necessarily for the investment, there's probably a point where you wonder how much your dolls are worth. Let's explore some of the resources and tips you need for identifying, valuing, buying, and selling dolls. The overall doll market has regular ups and downs. One doll may do fantastic for a few years, then sink unexpectedly. This makes the challenge of valuing your dolls even more difficult. The first step to discovering the value of dolls in your collection is knowing how to identify the dolls. It does no good to try and look up a market value if you don't have at least a general idea of the material, year, and style of a doll. Be sure to look for any marks or tags as these can take a lot of guesswork out of the process. There are many resources that you can turn to for pricing information. Online price guides, doll collecting books, and recent auctions (both live and online) can give you a good idea of where your dolls may fall. Educating yourself about the basics of doll collecting is going to help you navigate all these venues. The more reading you can do, the better. During your doll-investigating journey, you will come across many variables. Take the porcelain doll market for example. These dolls vary greatly: some that are over a century old can be extremely valuable while others may fall flat at auction. The only thing that is certain is that the value of your porcelain dolls comes with no guarantees. Buying a doll is easy, but buying dolls the right way is hard. It's easy to find dolls online or at doll shows, shops, and auctions, though you will do much better if you become an educated doll buyer. Your new-found knowledge will help you answer many important questions. Are you paying the correct price for your doll? What about the condition of your doll -- is it an original or reproduction? Is it being sold with the right outfit and accessories? It's also important that you read up on tips for buying dolls from various venues. For instance, bidding at a live auction is completely different than bidding on eBay. You might not be able to make it to the live auction but you can still take advantage of an opportunity by being a remote bidder (or 'phone bidder'). What Can You Sell Your Dolls for? Perhaps you have inherited dolls from a mother or grandmother and you need to sell them. Or, perhaps, like most collectors, you are constantly selling dolls in your collection so you can upgrade and refine your collection. In either case, it's important that you choose the right venue and learn how to sell smart. What can you realistically expect from your doll sales? As any auctioneer will tell you, it all depends on the buyers. There are, of course, general prices that certain dolls go for and you might run into a good auction day and a few that are not-so-good. It all depends on the market. If you are going to sell your dolls online, you do have more control. You need to ensure that you attribute accurate descriptions to the dolls and fully showcase them to attract the attention of buyers. A great photograph will make a big difference, so don't settle for taking a quick snapshot with your phone. Take the time to do it right.